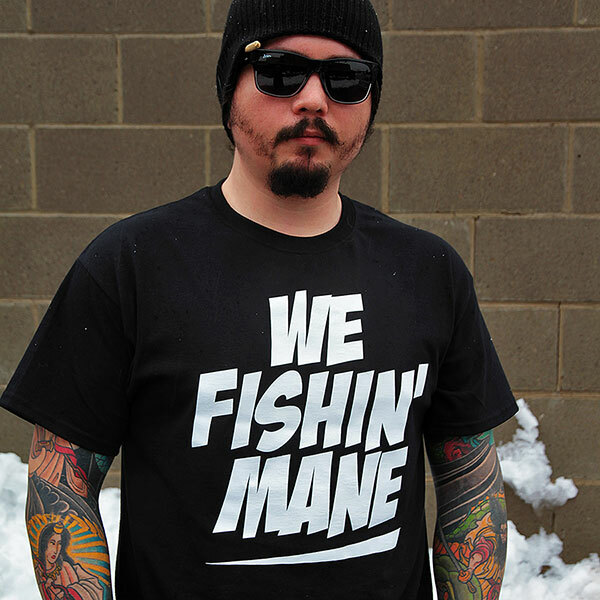 WE FISHIN’ MANE T-Shirts Payday Special | FISHING FURY - A Fishing Blog with Attitude! 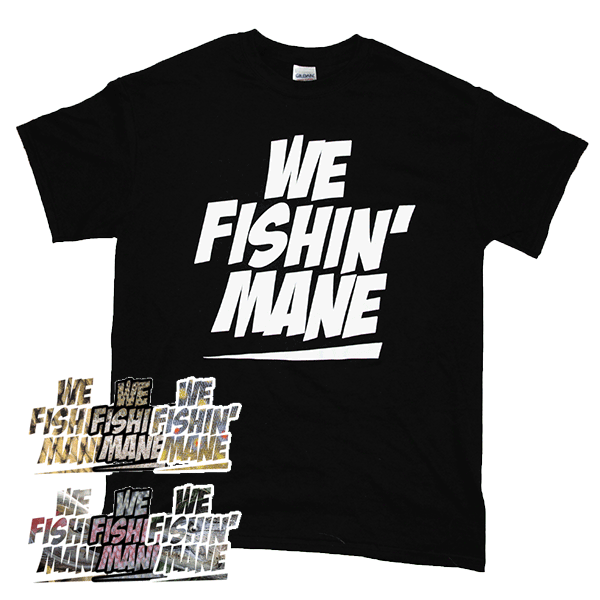 WE FISHIN’ MANE t-shirts are here! 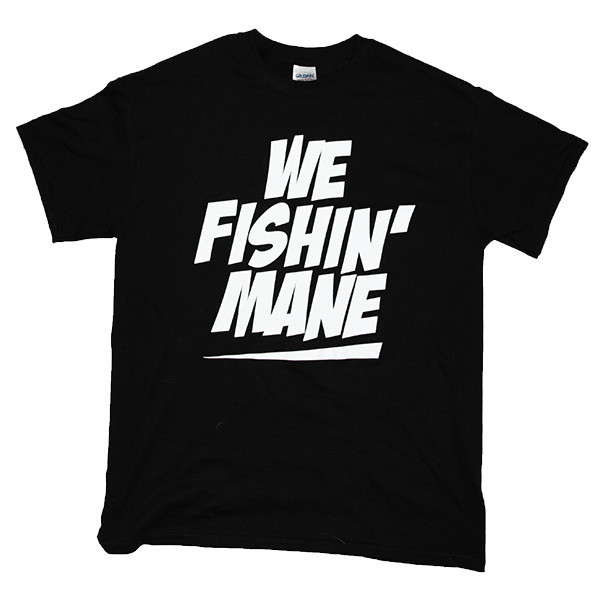 Guaranteed to make you the most swagged out fisherman on the water. 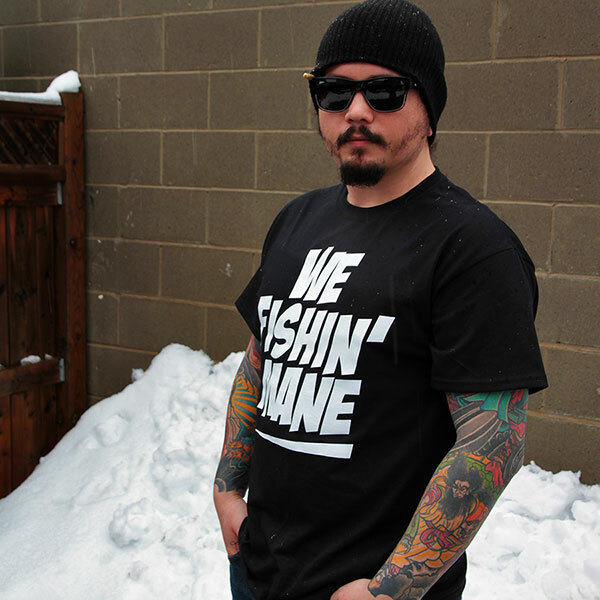 Shirts are available in medium, large, and extra-large. You can even bundle them with stickers and save on shipping. This is a very limited first run so they could go fast. Buy a shirt, or any shirt and sticker bundle, before March 4th and we’ll include a free sticker! If you want a small, XXL, or larger size please let us know so we can estimate how many to print in the next batch. 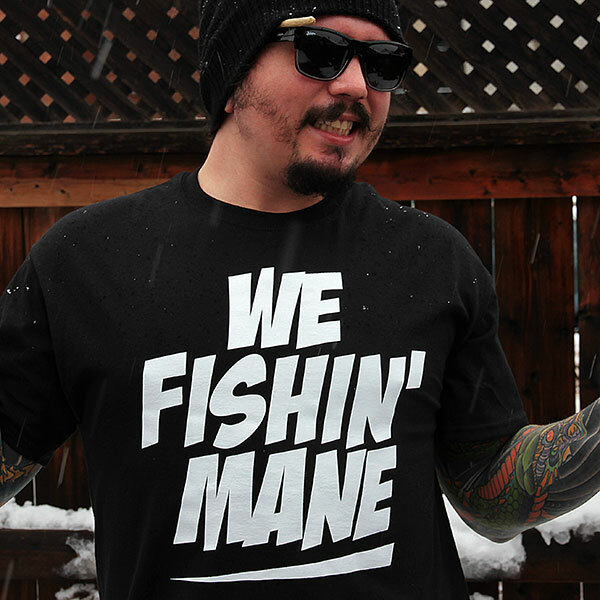 We do have a few XXL in reserve for our biggest (no pun intended) fans. Big shout out to Avid Apparel for doing an outstanding job on printing these. Judith, you are in luck. 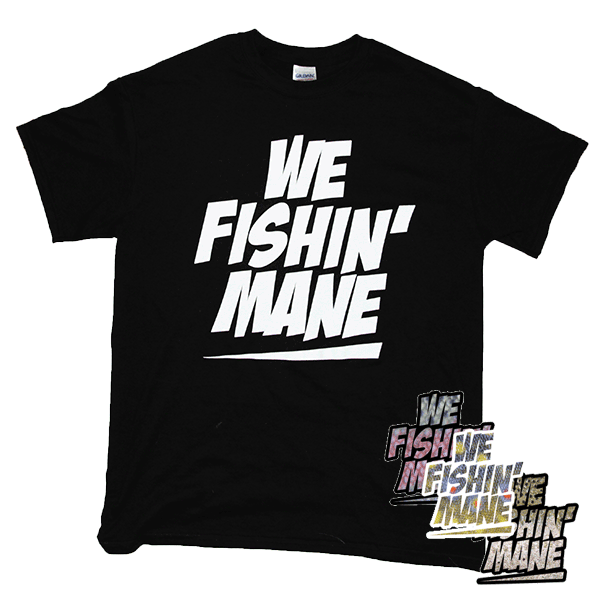 I have two XXL shirts left. Email me [email protected] and I will tell you how to order them. Thanks!